Variable Pricing. Choose Options Below. Jonah: Reluctant Prophet, Merciful God is a four-session Bible study for individuals and groups. The study guide revisits the classic story of “Jonah and the Whale” and discovers a rich and complex tale that proves far more interesting than we might suspect. First, the Bible makes no mention of a whale. Instead, we learn about a great fish that has only a minor role in the narrative. The main character of the story is not the fish or even Jonah; the main character of this story is God. Furthermore, the book of Jonah invites readers to ask important questions about who God is and who God calls us to be in response. Along with the prophet, we ask questions such as What kind of God is the God of Israel? and Who falls within the sphere of God’s care? Most importantly, perhaps, we find ourselves asking How will I respond when I discover that God loves the people I love to hate? 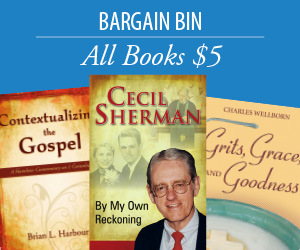 These sessions invite readers to wrestle with these questions and others like them as we discover God’s mercy for both the worst of sinners and the most reluctant of prophets. This Teaching Guide for the Smyth & Helwys Annual Bible Study on Jonah includes teaching options, suggested worship and sermon outlines, and approaches to leading discussions and group study. This study also includes relevant lesson plans for including youth and children in a congregational study of Jonah. 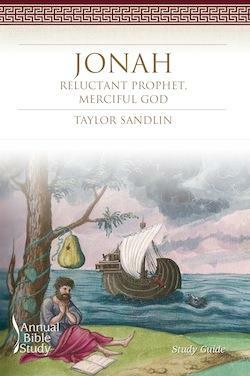 This Study Guide for the Smyth & Helwys Annual Bible Study on Jonah serves three purposes: to educate the learner on major issues of appropriate interpretation, to offer an overview of theological themes, and to build the learner’s Bible study skills by reviewing significant interpretations. Each session comes with thoughtful questions for reflection and discussion. Taylor Sandlin serves as the pastor of Southland Baptist Church. He is a graduate of George W. Truett Seminary at Baylor University (DMin, 2013; MDiv, 2004) and Texas A&M University (2000). Taylor and his wife, Alyson, have two children, Sophie and John Curtis. He enjoys Aggie sports, reading, and nature photography.